What is a Birth Certificate Request? 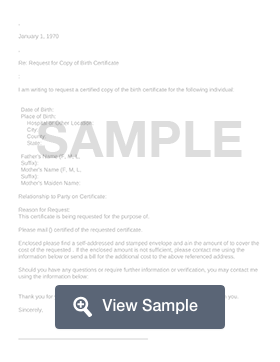 A birth certificate request form is a document used by someone who needs to retrieve a copy of their birth certificate. Birth certificates are a vital document that individuals need to prove who they are to get a driver's license or state identification card, passport, or a job. Since a birth certificate may also be used to prove citizenship, a birth certificate request form can help someone obtain a copy of their birth certificate from vital statistics. A birth certificate is one of the most important documents for personal identification. It is used as a reference point for many other forms of identification. It is generally created by relevant authorities to serve as a record of a baby’s birth. If you can’t find the original record of your birth, you should be able to get a certified copy of your birth certificate. This process will vary depending on the circumstances of your birth. 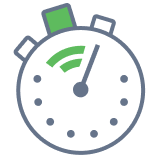 Create a free Birth Certificate Request in minutes with our professional document builder. Some birth certificates also include information about the birthplaces of your parents; your parents’ addresses, occupations, and ethnicities; and how many children your parents already have. How do you get a replacement birth certificate? The process for obtaining a replacement birth certificate will vary depending upon your birth circumstances. If you are a citizen that was born in the United States, you can obtain a copy of your birth certificate by going to the vital records office in the state where you were born. Each state will have a different process for you to get a new certificate issued. If you are a U.S. citizen that was born abroad to American parents, you should have a Consular Record of Birth Abroad (CRBA) issued in your name. This official document was created when your parents reported your birth to the U.S. embassy or consulate office that was closest to your place of birth. If you were born to American parents abroad on a military base, your birth is also likely documented by a Consular Record of Birth Abroad (CRBA). If you were born abroad, you will not receive a U.S. birth certificate because your birth was documented by the country where you were born. You should contact the embassy or consulate of your birth to obtain a copy of your birth record. If you need a copy of your naturalization/citizenship documents, you can order them through the U.S. Citizenship and Immigration Service (USCIS). What do you need to order a birth certificate?